Raymond Weeks was born in Miami, Florida in 1989 to his father Raymond Weeks and his mother Lisa Weeks. He has one older sister named Erika. He graduated from Miami Springs High School with a full golf scholarship to Barry University where his team won the national title in 2007 at the Division 2 level. He completed two years of college and decided to join the Marine Corps shortly after. 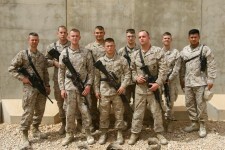 He completed Recruit Training in February 2008 and Marine Combat Training the following month. In March 2008 he was sent to the Navy and Marine Corps Intelligence Training Center (NIMTC) in Dam Neck, Virginia for his training as an 0231 Intelligence Specialist. He graduated fifth in his class in August 2008 and was ordered to report to 3rd Battalion 3rd Marines, Headquarters and Services Company, Intelligence Section at Marine Corps Base Hawaii in September 2008. Within six months of reporting to his unit, Private First Class Weeks deployed as an advanced party member to Al Anbar Province Iraq (OIF 09-01) in April 2009. He was promoted to Lance Corporal during the deployment. Midway through his deployment, Lance Corporal Weeks was selected to fill the noncomissioned officer billet as a Company-Level Intelligence Cell team leader with India Company. He was the team leader from July 2009 to February 2011 in two different theaters. He returned from Iraq in September 2009. 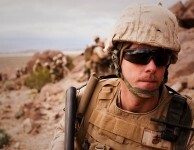 In May 2010, Lance Corporal Weeks was promoted to Corporal. That same month he deployed with the advance party to Nawa District Afghanistan (OEF 10-01), returning in December 2010. Corporal Weeks’ personal awards include the Navy Achievement Medal, the Combat Action Ribbon, and the Good Conduct Medal. In 2011 he was awarded the Master Sergeant Charles C. Arndt Noncommissioned Officer of the Year award for intelligence work. 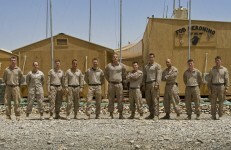 3/3 Marine translates experience into action, earns prestigious award for intelligence work in Afghanistan. Cpl. Reece Lodder. Marine Corps Base Hawaii. April 29, 2011.